During the 1950s, when the Republic of China took over, many Tibetans started seeking refuge elsewhere after following the 14th Dalai Lama’s pilgrimage to Dharamsala due to the harsh Chinese rule over the Tibetan people. 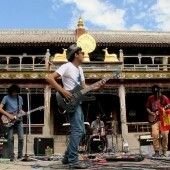 Since then, a record 150,000 Tibetans have been exiled to live in separate parts of the world such as India, Switzerland, Australia, United States, Norway, France, and Taiwan. Those countries have opened their borders to accept those in exile, for instance, the U.S. congress provided 1,000 immigration visas to those Tibetans seeking refuge. It was then, when Tenzin Kenoche’s father was able to obtain a visa for himself and allow his family to cross the sea and enter American borders. MISS TIBET: BEAUTY IN EXILE is a beautiful example of how a 3rd generation Tibetan, struggles to identify herself due to her lack of knowledge in tradition, language, and customs. The audience is introduced to the process from the very beginning, witnessing Tenzin’s growth after the pageant results, and getting a glimpse of what the pageant has to offer to young Tibetan woman who are not allowed to return to their own country. 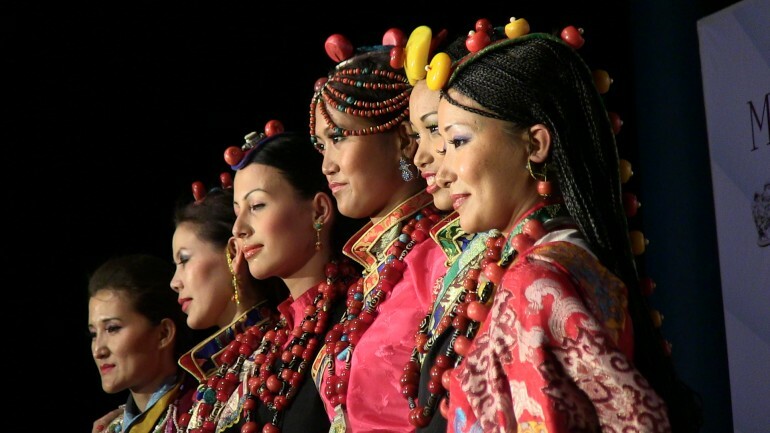 It is not only a Western beauty pageant, but a platform to educate and give young Tibetan woman a chance speak for their people, enlighten them on “what it means to be Tibetan” and increase awareness of the issues they currently face. MISS TIBET: BEAUTY IN EXILE, follows the journey of Tenzin Kenoche’s personal journey as a beauty pageant contestant and her personal growth during the competition. This documentary uses the style of Cinéma vérité, combining direct style, simple shots, and a “fly on the wall” realism in order to unveil and showcase the cruel reality of the many issues that are going on in Tibet. Norah Shapiro is a film director/producer who left a decade-long career as a public defender to pursue the adventures of documentary filmmaking. Her first feature, IF YOU DARE, about an inner-city theater company working with at-risk children, premiered at the Hot Springs Documentary Film Festival, aired on Twin Cities Public Television, and is in the collections of universities and libraries around the US and Canada. She is a McKnight Filmmaking Fellow and has received grants for MISS TIBET: BEAUTY IN EXILE from the Jerome Foundation, Minnesota State Arts Board, and the Minnesota Filmmakers Legacy Finishing Fund. She is currently co-directing and producing, along with Kelly Nathe, a documentary about Minnesota 13 Moonshine, which also received funding from the Minnesota Filmmakers Legacy Fund.